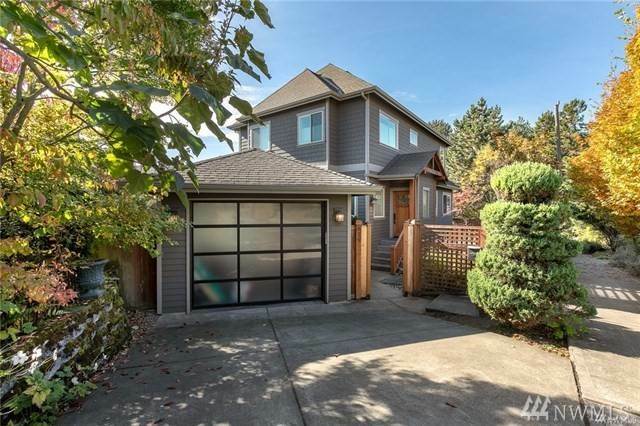 Northwest Craftsman Custom-Built home includes Cook's kitchen, with granite slab island & pot filler above gas range. Open floor plan on 1st level. Baths have Calcutta marble wainscot, Crema-Marfil counters & Kohler fixtures. Master suite with 6-jet soaking tub & separate shower. 3rd floor chalet room leads to rooftop deck looking towards Downtown. Spacious basement theater/family room with surround sound & radiant heated floors. Easy I-5 access-close to U district/Lake Union/Northgate Mall. Lot Size: 0.09 Acres / 3735 Sq. Ft. Directions:Banner Way Meets 75th St, Park on street. Home located on south side of 75th. 1 block for Roosevelt Way NE. SchoolsClick map icons below to view information for schools near 619 NE 75th St Seattle, WA 98115. All listings featuring the icon are provided courtesy of the Northwest Multiple Listing Service (NWMLS), Copyright 2019. All rights reserved. The database information herein is provided from and copyrighted by the Northwest Multiple Listing Service (NWMLS). NWMLS data may not be reproduced or redistributed and is only for people viewing this site. All information provided is deemed reliable but is not guaranteed and should be independently verified. The information contained in these listings has not been verified by REMAX on Market and should be verified by the buyer. All properties are subject to prior sale or withdrawal. All rights are reserved by copyright. Property locations as displayed on any map are best approximations only and exact locations should be independently verified. Listing information last updated on Monday, April 22, 2019 at 4:22 AM PST.